Snakes & Arrows Tour May 2008 - Irvine Ampitheatre. . Wallpaper and background images in the Rush club tagged: rock. 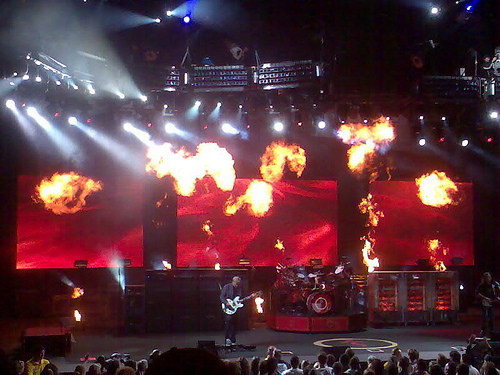 This Rush photo might contain fire, flames, inferno, theater, theatre, and house.